The jury of the 2018 Leeds International Piano Competition, chaired by Paul Lewis, eventually chose the twenty year old Chinese-American pianist, Eric Lu as the winner. This first release of Lu’s, on Warner Classics (part of the prize), contains two of his live performances from the competition. The work that he played in the final, Beethoven’s Piano Concerto No. 4 in G major, Op. 58 and Chopin’s Piano Sonata No. 2 in B flat minor, Op. 35 ‘Marche funèbre’. The Beethoven concerto is by far the most pleasingly performed of the works on this disc but we also get big performances of the piano sonata and the opening Ballade No. 4 in F minor, Op. 52. In the two much loved works major works, Eric Lu plays with great confidence, faultless technique and exhibits a pleasing degree of individuality. In the Chopin sonata he embraces the extremes contained within the piece and the Beethoven concerto is beautifully shaped. The young soloist interrelates with Edward Gardner and the Hallé Orchestra most effectively. Here we have a performer that is not only capable of pleasing judging panels¹ but also entertaining audiences. 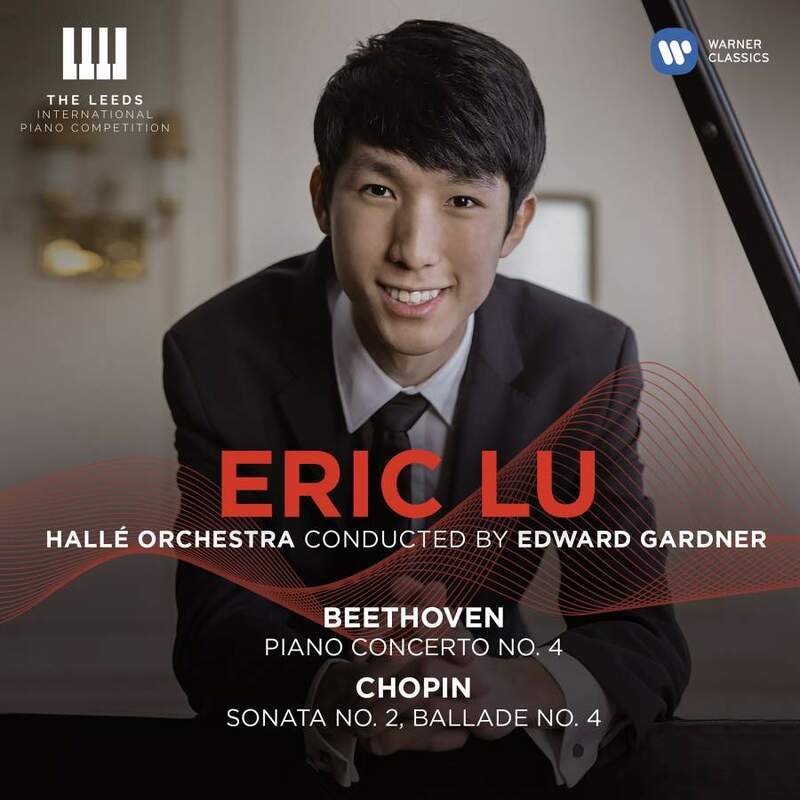 I hope that this CD helps to launch Eric Lu onto a very successful international career. Here is a young man to watch closely. There is only one thing that mars my enjoyment of this recording and that is the highly audible coughing of an audience member at a crucial moment as the tritone scales begin to build to a climax in the slow movement of the Beethoven concerto (approx. 3:13) – shame on the Warner engineers and quality control staff for allowing this to be released without the cough being edited out. Nonetheless this is a release that should be heard by all lovers of fine piano music. ¹ Eric Lu is also a winner of the prestigious Chopin Piano Competition in Warsaw, Poland (in 2015).